MIAMI (CNS) — His legacy is established as one of the greatest NFL coaches who in the early 1970s twice led his team, the Miami Dolphins, to Super Bowl victories and in one case — 1972 — an unprecedented perfect winning season. Locals also know the Ohio-born Coach Don Shula for his track record as a community-minded civic leader, businessman, philanthropist and often daily communicant at Mass in south Florida, where he has had long associations with several parishes here and friendships with Miami archdiocesan clergy and bishops alike. What may be less known to sports buffs is what Dan Shula might have become had he not thrown himself into coaching at an early age. “I was interviewed with him for a network documentary in which he says at one point he wanted to be a seminarian, although that was not included in the final documentary,” said Father Juan Sosa, pastor of St. Joseph Parish on Miami Beach, where Shula has been a longtime parishioner following an equally long affiliation at Our Lady of the Lakes Parish in Miami Lakes. At St. Joseph Parish, Shula and his wife, Mary Anne, helped the Catholic elementary school there complete a three-story state of the art educational facility with a music room, computer lab and spacious offices. St. Joseph School is now a charter school. More recently, the Shulas launched a $10,000 annual scholarship endowment fund at the parish which will assist one local family with a child in public schools transition to a Catholic high school in the Miami Archdiocese. The endowment will be in the Shula name and supervised by a parish committee. It was a good time for the local Catholic community to thank the Shulas, Father Sosa said, noting that the community knows them for their dedication to reconciliation and peace at various times in Miami’s history and for their commitment to Catholic schools. “Every other organization, the sports world, the business world, the social world of south Florida and even the U.S. President recognized the (Dolphins) team from his era, and many documentaries have been made about him, but I don’t think the church was recognizing him,” said Father Sosa, who joined Miami Archbishop Thomas G. Wenski and the Catholic community recently to honor the Shulas for their philanthropy and leadership in Miami. Archbishop Wenski presented Shula with a lifetime achievement and appreciation award at a recent parish gala for 150 guests at the Miami Beach Resort, and thanked Shula for his support of Catholic education and in particular for creating the new scholarship fund at St. Joseph Parish. The archbishop noted that sometimes the priests of the archdiocese humorously refer to him as the ‘Don Shula’ of the local church for his leadership style as archbishop. Also on hand were Sean Clancy, a former Miami Dolphin player, who was master of ceremonies for the event, and Msgr. Frank Casale, president of St. Thomas University in Miami. “It’s nice to be remembered,” said Shula said, who is now 84 but who still keeps a fairly high profile in the community, including a recent appearance and public conversation for a ‘Living Legends’ photography exhibition at the Norton Museum of Art in West Palm Beach. In Ohio, the Shula family of seven children included a set of triplets. Shula’s father held a job in the fishing industry for $15 a week, and later worked at a rayon plant in outside of Cleveland. Young Dan Shula attended elementary school at St. Mary’s Catholic School in Painesville; his mother was a Catholic, and his father joined the church when the couple married, according to biographical information. Shula is a graduate of John Carroll University near Cleveland, where he studied on a football scholarship and became close to the Jesuits on the faculty there and later endowed the Don Shula chair in philosophy, which supports the philosophy department at John Carroll by presenting programs of interest to philosophers and the general public. The Shula children and grandchildren attended Catholic schools in south Florida over the years including St. Thomas Aquinas High School and Chaminade-Madonna College Preparatory. Clancy, who played in Miami in the late 1970s, noted that Don Shula is credited with being ” the winningest coach in NFL history with 347 career victories, two Super Bowl titles, a unanimous inductee into the NFL Hall of Fame and the only coach to have an undefeated NFL team which was accomplished by the 1972 Dolphins who went 17-0. 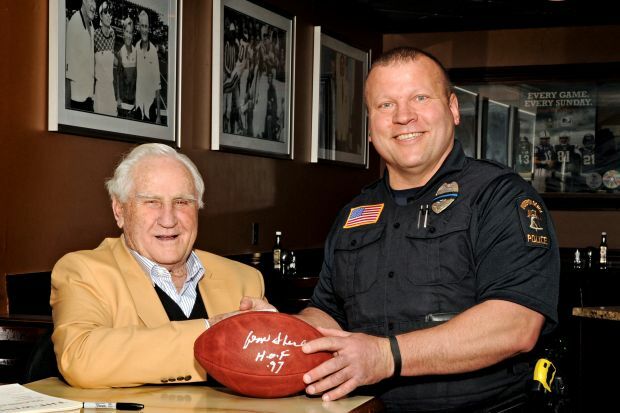 Shula also is credited with forming the Don Shula Foundation to fund breast cancer research and he owns and operates a chain of 35 restaurants under the Shula name. Mary Anne Shula is an Arkansas native, has been married to Don since 1993 and is deeply involved in business, politics and philanthropy. She is president of Shula Enterprises and a former director of the Miami Heart Institute. March of Dimes named her Arkansas Citizen of the Year for her efforts on behalf of students with learning disabilities.